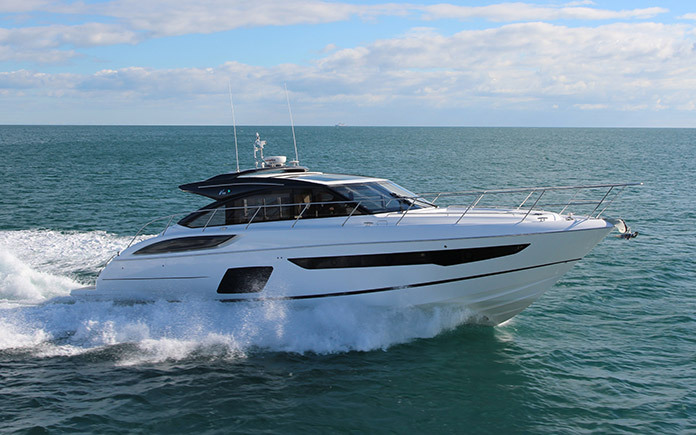 Stylish and powerful, the V58 Open is the first in the next generation of Princess high-performance V Class sports yachts following closely in the wake of the award-winning V48 Open. 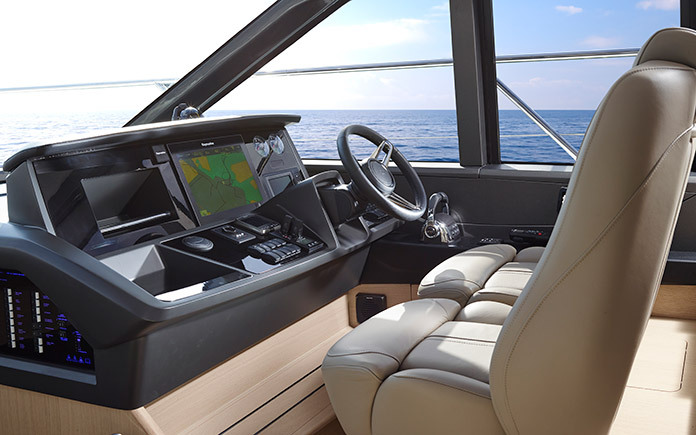 Boasting a new dynamic exterior styling and an impeccably finished interior, the V58 Open is a boat of unique quality and peerless craftsmanship. 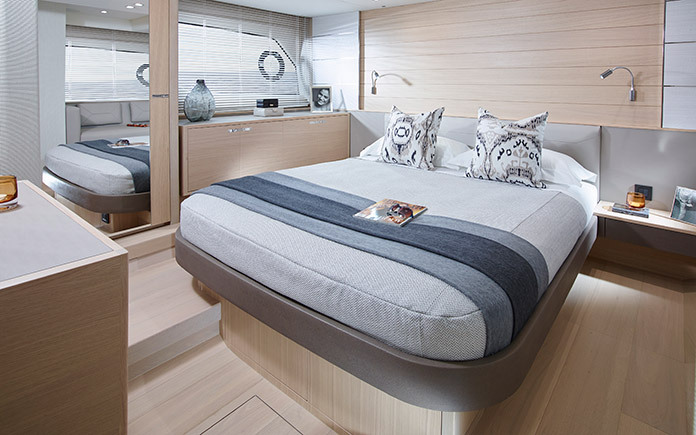 The V58 Open offers superior high performance synonymous with all V Class yachts. 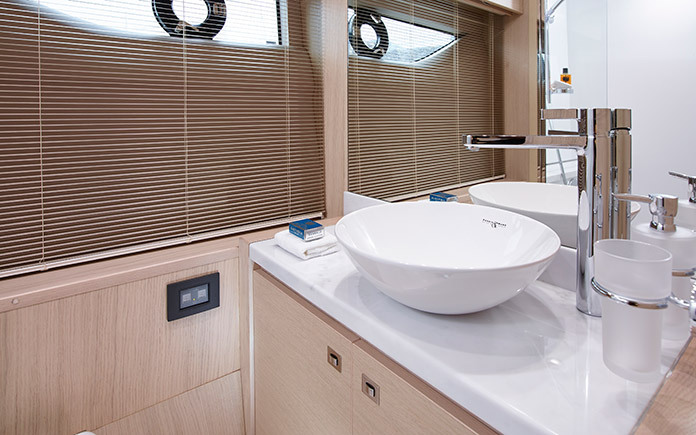 Her outstanding power and dynamic hull shape will cut through the sea at up to 38 knots depending on engine size. 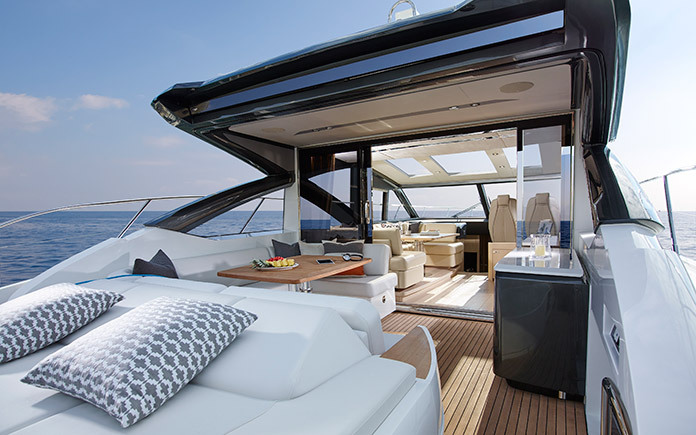 The flexible enclosed deck model can be climate controlled or opened to the elements via triple sliding aft doors and a retractable sunroof. 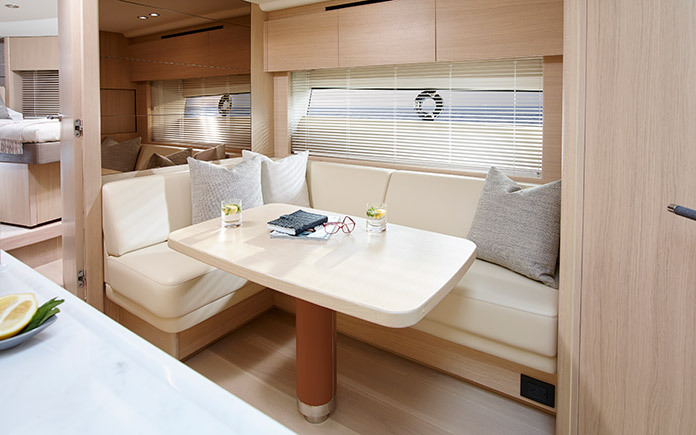 The epitome of outdoor living, the V58 Open exudes a variety of sociable seating and entertaining options including a large aft sunpad. 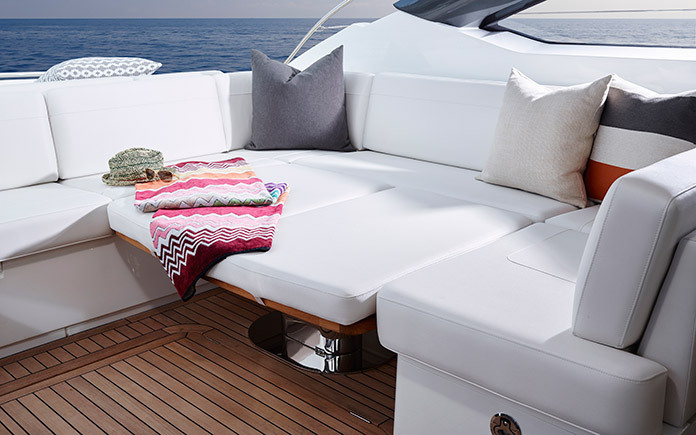 This open-plan sun-drenched main deck also features a wetbar with coolbox, sink and storage plus an optional barbecue, ice maker and drawer fridge allowing this space to become an alfresco saloon. 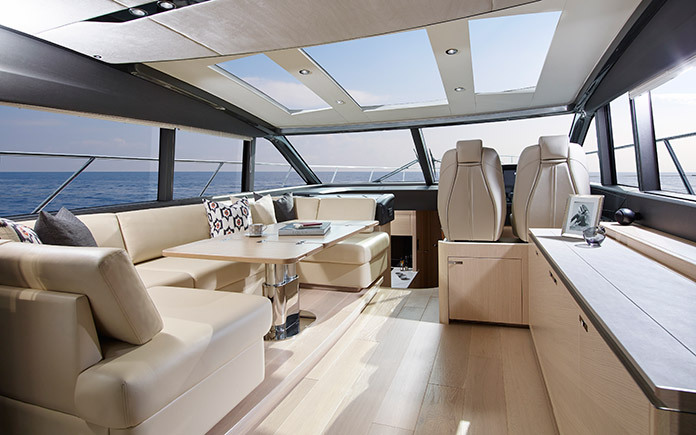 The main deck saloon comes complete with a generous U-shaped sofa around a dining table with a sideboard unit with glass and bottle storage and refrigerator opposite as well as a 46″ LED TV on an electric raise/lower mechanism. 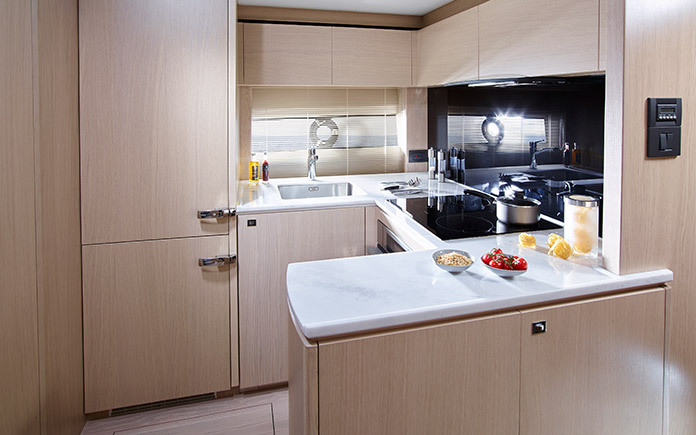 She offers a well equipped galley and lower saloon with dining area in addition to three cabins, two of which enjoy an en suite. 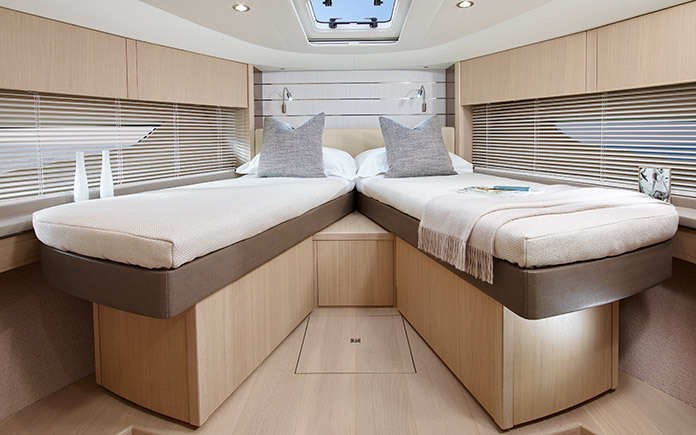 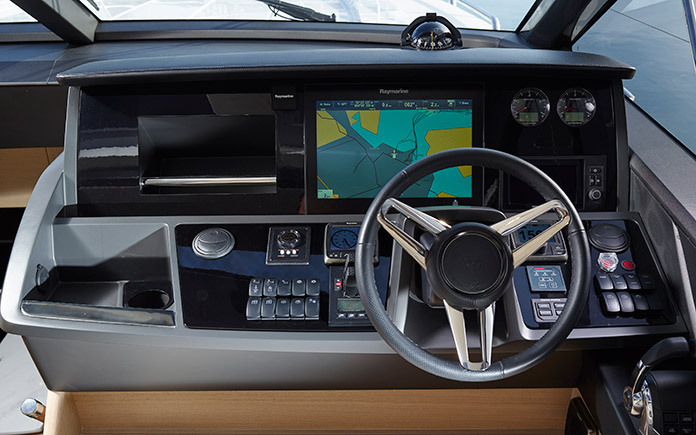 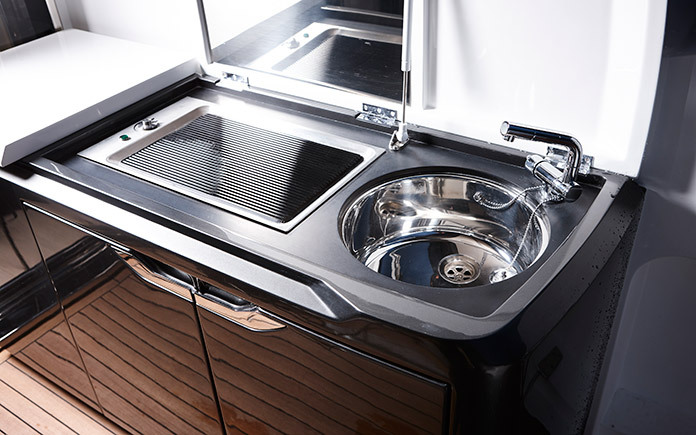 There is also an option to specify an additional cabin aft complete with single berth, storage and toilet. 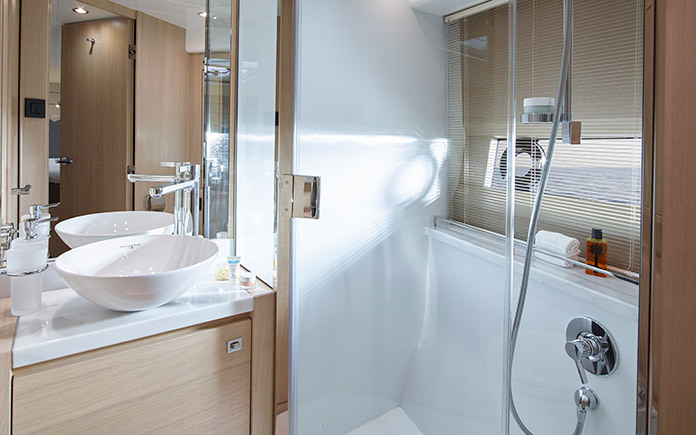 The breathtaking exterior features large dynamic portlights forward allowing natural light to fill the lower accommodation that can accommodate six guests across three well appointed staterooms, two of which are en suite. 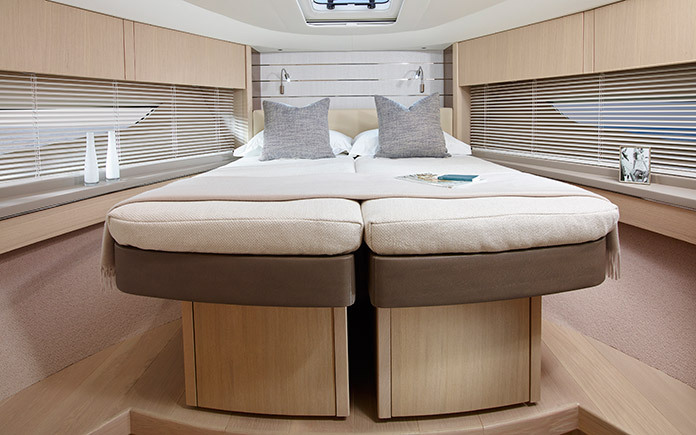 There is also the option to specify an additional cabin aft.